LOL. This guy labels himself as a hypocrite and an idiot in one nice short post. Gotta love it. This set will last you a good while. Almost every piece in this set can be obtained solo with a low to moderate time investment. The only one that might be trouble for solo players is the Epona’s Ring. 2) Atmas - since Abyssea is where Ninjas perform best, I think it would be worth at least a short excerpt on which atmas are best for the majority of situations. 3) Your intention is to consolidate questions. Questions that are going to keep cropping up in this thread are the same questions asked in many other threads. "Is this better than that?" You may be able to prevent some of those questions by making a progressive list of gear. What I mean is... there are some gaps between your "newbie ninja" tp/ws sets and the sets that "will last you a while." You could fill in those gaps with things like Iga Hakama +1/2 until they get Koga Hakama +2. 4) Would be good to mention at least a couple alternatives for Rancor Collar when it's not appropriate (Moribund Hack, Ballistick Kick, etc). 5) A "newer-ninja" evasion build would be good as well. As has already been mentioned by others... the "best sets possible" conflict with title of thread. I love the thread more and more. HAW HAW HAW. Good on you for taking the time to do this. Tjukurrpa is entirely dependent on dDEX to be remotely useful, so I'd consider that more of an alternate piece than a default piece. From what I recall, a good amount of WOTG was soloable and the rest easily done by 2-3 people (It's been a while...I do remember doing the final battle with only 2 at 90 though). Breeze Gorget because of Rancor Mantle, though IIRC Breeze is better regardless. Long as you're in the over-achieving spirit, you could compile info for an Aeolian set (w/ Atmas) - nin makes a decent lil cleaver in Aby. Also for Kamu (lol) I'd do Wanion over Windbuffet and, arguably, Ghillie+1 over Centaurus. This guide has come a long way and seems to only be getting better. Requesting sticky. 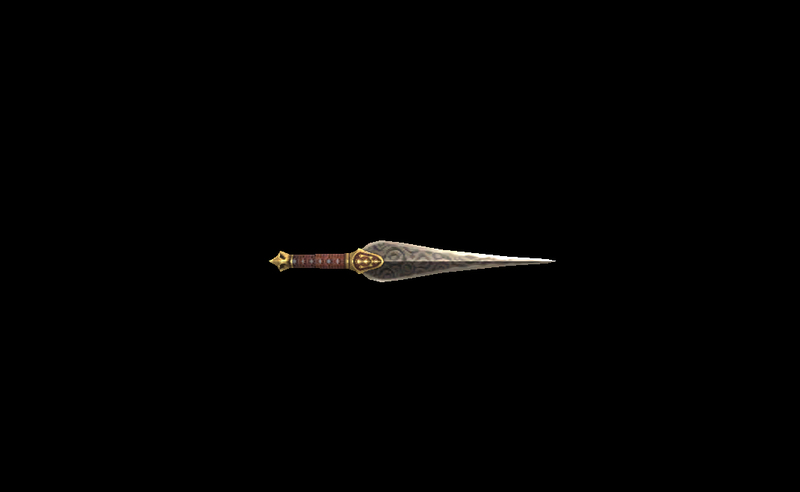 All augments attached to this weapon are made insignificant by its high delay and low damage. Garbage. I don't quite agree with this statement, the DA+11 path really has not failed me as an offhand with my Kannagi. Though I'm not much of a pen and pencil numbers down to a math kinda guy, but it's definitely an improvement over kamome offhand and/or magian paths. We should let the Ukon WAR using a suppanomimi post his sets instead. Unfortunately, DA weapons are really nice for certain two-handers, but for dual wielders it's quite mediocre because of how haste and dual wield effect low-delay weapons (Basically getting to really low delay after a certain point makes your damage climb faster and faster, it matters enough that in certain situations Ban actually ends up beating STR Arisui). This is especially true if you're main handing a relic of some sort because a higher delay offhand means less chances for AM to activate. Just in case it hasn't been emphasized enough: No. It was an okayish mainhand at one point, but especially now with more DW than ever and Shun's 6 base hits including offhand, it's not at all desirable. Definitely not as an offhand. Why would I use Shun when I already use Kannagi? May want to take a look at this: for a break down of fast cast. Also I think you should elaborate on what each spell actually does, some of the descriptions are vague to non-existant. I like the work, keep it up! If I am coming late to the party with any of the above suggestions, I am perusing the thread while at work. I do like seeing that you are bringing to light some obscure and yet useful items to the light. There is so much in gear out there now it is fun to just get the visual variety that people's sets have cobbled together. Did you not see the part where I said "It was an okayish mainhand at one point"? Obviously if you have Kannagi that specific part doesn't apply to you. I also think /DRK has some fun aspect to it and use, but it is situational and requires the right kind of style to pull off. From what I recall, a good amount of WOTG was soloable and the rest easily done by 2-3 people (It's been a while...I do remember doing the final battle with only 2 at 90 though). The battles aren't difficult, I agree. But it is VERY VERY time consuming. I'm glad you liked my suggestions. The updated OP is looking pretty dang good. Koga Chainmail +2 - can fit this in there just for the sake of completion, and so people don't keep asking "Is Relic +2 better than AF+1??" Could also toss Phasmidia Belt on your Ninjutsu casting gear. Or at least mention it as an alternative since in your current set, the extra 1% haste from Twilight actually benefits that set. This belt can also be used in a hybrid evasion set although I didn't see you list a hybrid evasion set. Anyway, I'll stop adding more to your plate lol. Those are just some suggestions. I had a question regarding the "Augments Yonin/Innin" on the Iga+2 pieces. Do the pieces need to remain equipped while the JA are active, or only during their activation for the effect to occur? Also, on the Iga Ningi+2 (body), does that need to remain equipped for the 75% Migawari mod to be applied, or only during it's cast? Thanks in advance for your replies! Trying to remember... I'm going to say, they need to remain equipped. Certainly for the Migawari enhancement. And I'm fairly sure I'm correct about the Yonin/Innin as well. They need to remain equipped, yeah. That's why even if you're not getting the DW from the helm for some reason, it's probable that it's winning against anything else capping your haste just because of the DA boost it gives Innin. For the record, the Iga Ningi +2 just lowers the threshold of Migawari by ~10.5%, not make it 75% or whatever. The HP% Migawari activates is based on Ninjutsu Skill. About every 5 skill past 300 is a 1% reduction on the threshold, and at capped 99 skill naked it should be about 75%. Truthfully for most stuff you really want Migawari for Iga Ningi +2 is probably more of a hindrance than anything. I'll get off my *** and play around with Migawari a bit one of these days. How is this thread not Stickied?! Because clearly, it is a much better choice to just rely on others to compensate for the fact that you're too lazy to spend ~4 seconds casting a spell. I believe if someone's not familiar with the fight it's probably better to write it out in a way where you're erring on the side of caution. If you care for Nin, and want to make/upgrate a Katana. Would it be better to go for Kannagi 90>99 or make a Relic and bring it to 99? I read alot like "Shun with relic is better outside", but by how much? Personally, I'd say Kannagi 99 is more useful in the current game. Kannagi has way more applications and currently NIN JAs tend to favor that weapon over the Kikoku. If you push a few things in Kikoku's favor (Athos' Gloves active, estimate ODT as 18% ODD), Kikoku does often win by like 1~5% depending on the target, Dynamis and Voidwatch. The two are really close though, and naturally when you have Innin up Kannagi will jump ahead by fair bit. Worth noting that haste buffs go don't actually matter too much because the two weapons have identical DMG/delay. Accuracy boosts favor Kikoku a lot more because Shun's multi-hit though. Stuff like Fighter's Roll obviously favors Kannagi. Frankly I think they should make REM weapons retain all their stats on offhand, then we don't have to choose, because all of us love spending 300M on a job nobody invites. I'll get a Kikoku too! Sometime...I'll get back to you on that. Are these in order from best to worst for Blade: Hi or just randomly listed? In that particular case, Athos's Tabard is the best of that list, Loki's and Iga Ningi +2 are inside/outside use, then Kacura+1>Nemus+1 but both are both kinda crummy (If you have a Kannagi you probably already have Iga Ningi and Loki's, honestly, lol). I generally try to list them in order of usefulness but it is kinda hard to write a hard "this is better than this" for every single one because of all the variables involved. Courtesy of: Slycer and Cairthenn. For Ninja, Usukane Sune-Ate +1 beat Iga Kyahan +2 despite the lost of a haste percentage, and Omodaka hands is obviously an accuracy sidegrade. Other than that it all looks pretty pointless. Pretty disappointing. I was hoping for at least one slot to get Dual Wield+, but that got stuck onto Skadi Body, and I don't think any of those jobs are going to bother with that thing anyway. If it is 5%, it will be better than Arisui when DW is applicable.